Scotland on Sunday accused Andrew Brown of benefiting from expenses claims made by Prime Minister. 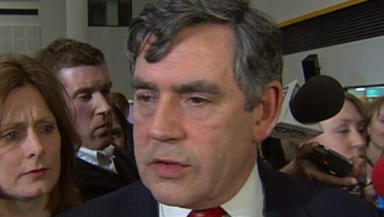 Gordon Brown's brother has accepted a donation to the charity set up in memory of his niece over an "entirely false" Scottish newspaper claim that he had "pocketed" improper payments claimed by the Prime Minister on expenses. Andrew Brown - the brand, sustainability and external relations director at EDF Energy - brought libel proceedings at London's High Court over a story published in Scotland on Sunday last month. His solicitor, Chris Scott, told Mr Justice Eady the prominent article, which also appeared online, was headlined Zero tolerance for scum who exploit expenses. The story, written by columnist Gerald Warner and published on May 10, suggested Andrew Brown had "pocketed" improper or corrupt payments claimed by his brother on Parliamentary expenses under the guise of payments to Andrew for "cleaning services". Mr Scott said statements issued by Downing Street on May 8 and 9 refuted entirely these suggestions and made clear Andrew Brown was legitimately reimbursed for the Prime Minister's share of the costs of a cleaner who worked at both his and the PM's personal domestic properties. "The libel contained in the article was therefore entirely false," Mr Scott said. He added that the publication had caused damage to Andrew Brown's personal and professional reputation and he had suffered considerable embarrassment, hurt and distress. The paper issued an apology that appeared in print and online on May 24. Mr Scott said The Scotsman Publications Ltd, which is owned by Johnston Press, had accepted it should not have published the article and had already published an apology. The publisher had agreed to reimburse Andrew Brown for his legal costs and to make a donation to the Jennifer Brown Research Fund. "In Gerald Warner's column on 10 May we stated that Andrew Brown, brother of the Prime Minister, had profited unethically from expenses claimed by the Prime Minister. "We accept there is no truth in this allegation, and that the payment made to Andrew Brown covered the reimbursement to him of Gordon Brown's share of the wages of a cleaner who worked for both men. "We accept that there was no impropriety or illegality on behalf of Andrew Brown and apologise for the offence caused to him and have agreed to make a donation to a charity of his choice."